It’s kinda like a Blacksmith but without all the hammering. 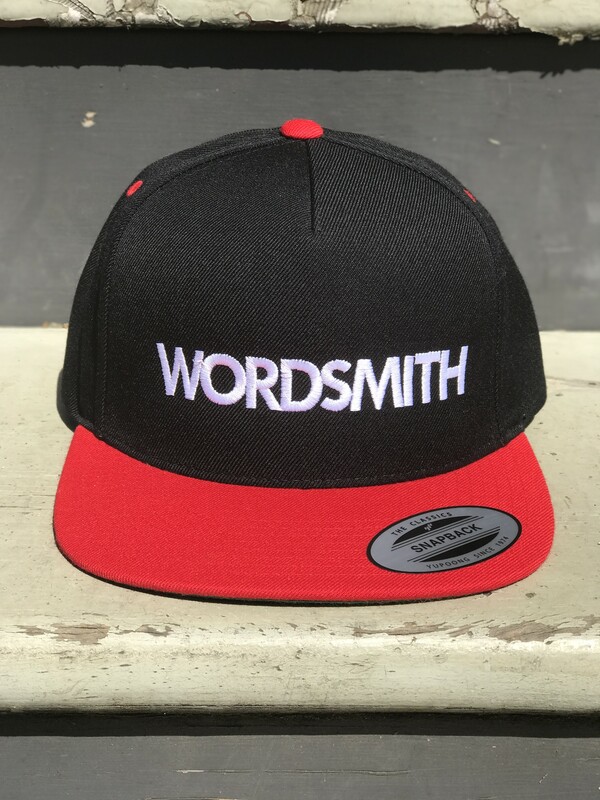 Profess your skill with the written word with our signature WORDSMITH hat in BLACK & RED. All of our hats are premium, 5-panel snapback’s featuring an 80% acrylic/20% premium wool blend, hard buckram and a classic green undervisor. Hats feature an adjustable snapback that expands from 20-24,” a low-sitting brim and plenty of real-estate to advertise your mad writing skillz.